Could Willie Mullins (above) saddle the winner for this afternoon's Gold Cup? There's no question about where the big race is this afternoon. Below, Follow The Money reveal their Gold Cup selection for 2017 as well as two other picks for the final day of the Festival. t has been a thrilling few days at the Cheltenham Festival, and the final day looks just as mouth-watering as what has gone before. A competitive day's action is headlined by a fiercely competitive and open looking Cheltenham Gold Cup. We kick off with a lay recommendation in the Triumph Hurdle. The race is dominated by JP McManus owned runners, with notable support for Landofhopeandglory this morning. Defi Du Seuil is holding his price, but the runner in the Green and Gold who is drifting is unquestionably Charli Parcs. He was backed as low as [4.30] but now trades at [5.70], with punters presumably fearing he will be feeling the after-effects of his fall in the Adonis at Kempton last time. He had been wildly impressive on his English debut at the same venue but came crashing down at the second last on his Festival prep outing, with the outcome of the race still in the balance. The winner of that race, Master Blueyes, is in opposition once again, plus a whole host of other contenders from both sides of the Irish Sea. Despite his undoubted raw ability, this looks a big ask for one so inexperienced and a place lay at [2.22] is advised. 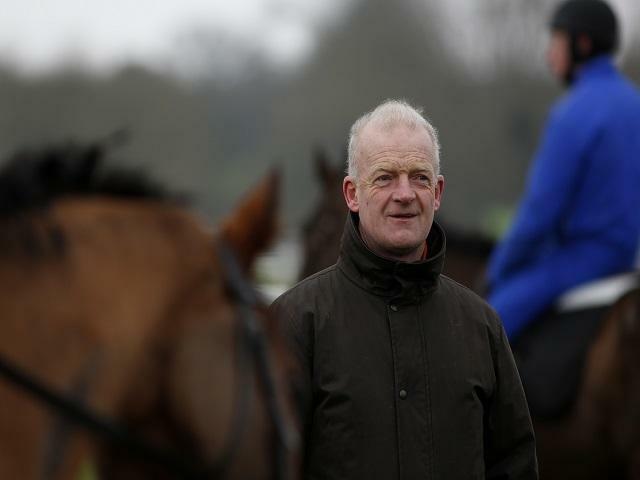 Willie Mullins has famously saddled the runner up in the Gold Cup on no less than six occasions and, after drawing an extraordinary blank on the first two days of the Festival, he looked set to endure a week of misery. However, his team came good yesterday and he could yet end the week with his greatest ever triumph by finally landing chasings Blue Riband. His runner this afternoon is Djakadam, who has finished second in the last two renewals of the Gold Cup. He was a very narrow runner up to Coneygree as a six-year-old in 2015 and finished a fine second to Don Cossack last season after a troubled preparation. He got this season underway with a fine win in the John Durkan at Punchestown, before finishing a slightly disappointing third in the Lexus Chase at Leopardstown over the Christmas period. The decision was taken after that to keep him fresh for the Festival, and market forces are suggesting that this could be a good move. He was backed to good money in the antepost exchange market as high as [25.0] and his price has continued to contract in recent days. A high of [5.80] in the day of the race market has long gone, and he now trades at [4.10]. A big run is anticipated. We wait until the finale at 17:30 for our each way bet, where the getting out stakes could be particularly significant for Champion Trainer Paul Nicholls. He has had very few notable darts to fire this week, though Bouvreuil did run well for the stable yesterday. His representative in the Grand Annual is the novice Le Prezien and he has been very well backed from [9.4] into [6.4]. Although he remains very inexperienced after just four chase runs, he has been mixing it at a good level. He was a very close up second to Charbel on his fencing debut in October off level weights, before beating useful rivals on his next two outings. A step up in class in the Grade 1 Scilly Isles at Sandown proved a bit much, but he still ran a fine race to be third to Top Notch. With the likes of Charbel and Top Notch advertising the form in no uncertain terms this week, a mark of 146 for Le Prezien looks quite attractive. Granted luck in running, and provided he finds a rhythm with his jumping, he should surely go very close.